This is a really clever way to cool drinks without diluting them. Just pop the stainless steel balls into the freezer for a minimum of four hours to chill (placing them in their velvet drawstring pouch will prevent them from frosting whilst in the freezer). 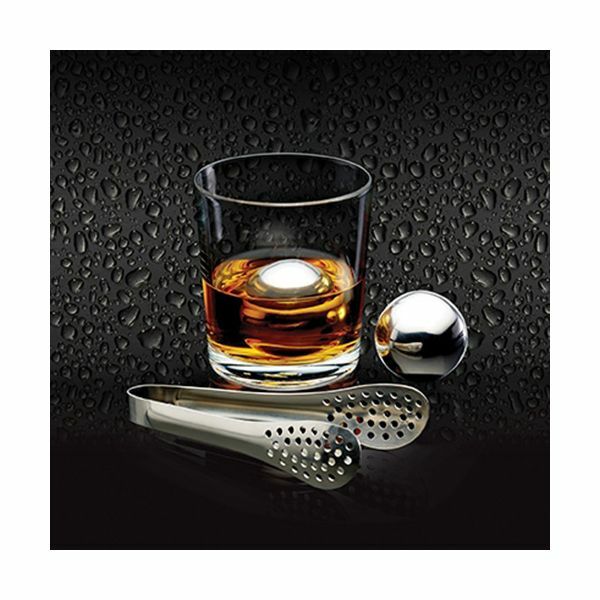 Then, using the tongs provided, add to the drink of your choice.